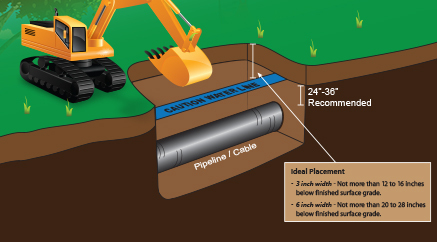 Terra Tape® is ideal for underground water and sewer pipes. 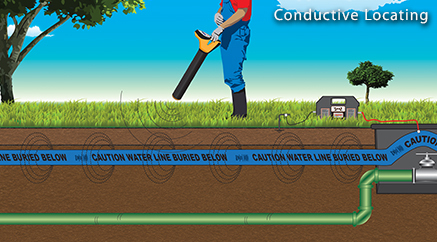 Terra Tape® underground warning tape can prevent the dangers of digging into buried water and sewer pipes which causes service interruptions, unnecessary loss of revenue and repair expenses. 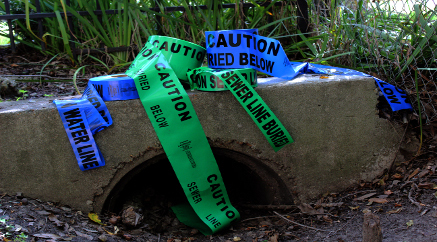 Our underground marking tapes provide superior tensile strength and puncture resistance making Terra Tape® ideal for situations where site conditions are difficult. Color coded for application and extrusion laminated, Terra Tape® is colorfast and chemically inert for lifetime stability. 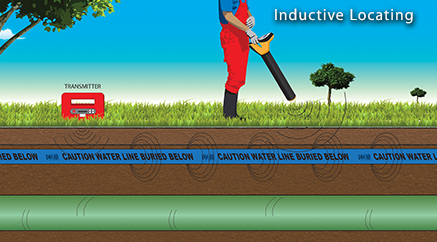 Terra Tape® underground warning tapes have been protecting pipes for years from accidental dig-ins. No other product can match the unique benefits of Terra Tape®. Terra Tape® underground marking tapes can be custom printed with your company name, logo, phone number and/or message in up to four (4) colors. Standard APWA color codes are available.